Today being Memorial Day 2017, I have to confess that my mind is always a bit conflicted when it comes to honoring our own country’s fallen soldiers. It’s a conflict brought on by my belief that war itself is rarely if ever “just”; yet, those soldiers who lay down their lives for their friends, neighbors, and unseen others are justified in receiving honor for their heroic sacrifice. It is in remembrance of these fallen soldiers that I begin this day. For me Memorial Day is one for waving ribbons on behalf of soldiers and not flags on behalf of nations. It is set aside to honor those individuals who sacrificed their lives for others, who lovingly laid down their lives for their friends. It is not about the nation that declares or conducts war, but about the citizen who chooses love above fear and enters war’s battlefields, skies, and seas in obedience to love’s immortality rather than fear’s mortality. Personally, I came of age during the Vietnam War. Upon graduating from college in 1968, I was subject to the Selective Service draft used to conscript men of my age into this, in my then newly educated opinion, highly unjust, immoral, and even illegal war against the newly sovereign nation of Vietnam. It was based strictly upon an American lie involving an attack in the Tonkin Gulf. So I joined in protest against that war. The sin of our anti-war movement of the 1960’s was this, however: we failed to differentiate between the war and the warrior. We wrongly condemned those who served as soldiers and tarred them with the same brush used to condemn our nation’s war policy. Our collective sin as a peace movement was to deny the greater love of those who laid down their lives for their friends, as Jesus had so described it in John 15:13. So what would Jesus do today? And I wonder if Jesus would not call us into remembrance that he, too, was a soldier of war. That upon the hillside of Calvary he, too, was driven by bodily fear of losing control but drawn by the spiritual love of gaining influence (never to be in vain) in this world God so loves. Jesus chose to obey his soul over his body. To place his own faith in influence instead of control. To lay down his own life. To love God and neighbor sacrificially, which is the greatest love in keeping with the greatest commandments. Yes, my mind will always be conflicted to think that warriors may be moral even when their warring nations are not, or to think that love’s influence will outlive fear’s control even to the point of resurrecting that which was once buried. This is the ultimate conflict between life and death itself. And it is the very essence of what Christian faith is all about. The ultimate resolution that places love above fear, the immortal soul above the mortal body, and the fallen soldier above the nation itself. Isn’t that one of the toughest questions to answer in our various life situations? Especially these days? When so much of our society seems divided between those who would desperately hold on and those who just as desperately would let go? If you are reading this, you probably are already aware there was in the United Methodist Church within which I’m an ordained Elder a recent ruling of its Judicial Council on a case involving an ordained Bishop in what is called our Western Jurisdictional Conference. That Bishop, for those of you living somewhere beneath a rock and don’t already know this, had previously come out as a married homosexual. Things may simmer down somewhat this week in commentary, but many of us realize this pot will boil over eventually as the UMC flame has a tendency to shoot upward from time to time. How that flame has kept from igniting and destroying the nearby cross itself is a mystery for the ages. It is a short stretch of the imagination to say that today’s western society is painfully divided between those who would hold on and those who would let go concerning a range of social issues. We typically label those who would hold on as conservatives and those who would let go as liberals. Even then we are divided between those who would hold on to such labels and those who wish to let them go while in search of new (improved?) ones. Hence, we have today’s evangelicals and progressives. Regardless, humankind may be incurably divided around this general question: hold on or let go? If I’m to be an authentic Jesus-follower in today’s world, I had better work at understanding how Jesus behaved with respect to this general question. To be sure, Jesus was surrounded by those in his day who wanted to hold on vs. those who wanted to let go. His own people, the palestinian Jews under Roman occupation, had at least as much religious and political polarity as we do today. There were those in his own society who desperately wanted to hold on while others just as desperately wanted to let go. Jesus was more than aware of his contemporary conservatives and liberals. Herodian reactionaries vs. Zealot revolutionaries were no less “divided” than today’s American Republicans vs. Democrats on the political spectrum. And the religious divide between conservative Pharisees vs. liberal Sadducees was no less severe than today’s evangelical conservative vs. mainline liberals. As best I can discern from my own reading of the Gospels, his own divided people sought to do with Jesus what people in conflict commonly do: triangulate. By this I mean each side wanted him on their own side against the other. They sought to triangulate Jesus. Think United Methodist Judiciary Council when you think of triangulation today. But let’s not stop there. Let’s also be thinking about Jesus. He who was in his own time often triangulated between those who wanted to hold on and those who wanted to let go. Let’s take the Jewish Laws of Moses, for instance. Actually there were several instances sprinkled throughout the biblical Gospels. In every instance I can trace within my own memory, Jesus gave a patterned response to the question of whether to hold on or let go when it came to the Mosaic Laws, whether dealing with adultery, murder, divorce, Sabbath, tithing, or cleanliness. His answer was a resounding “yes” to both sides of the question. As in, “Yes, hold on to the Law” and “Yes, let go of the old interpretations of that Law.” Jesus had a patterned way of saying to his own liberals and conservatives alike that, yes, do hold on to the conservative words but do let go of the conservative meanings for those words. He was both conservative in his regard for the Law and liberal in his interpretation of the Law. If you’ll remember Solomon’s ruling when it came to the dualing mothers of the single child, the mother who won that case turned out to be the one willing to let go of her baby. I’m not so sure that represented the wisdom of Solomon so much as it does the lengthier pattern of human history itself. Those who hold on to both the old law and the old interpretation are routinely on the wrong side of history over the course of time. Those who hold on to the old law but let go of its old interpretation generally prevail in the long run. That last act of letting go has its own way of keeping the baby well into the future. 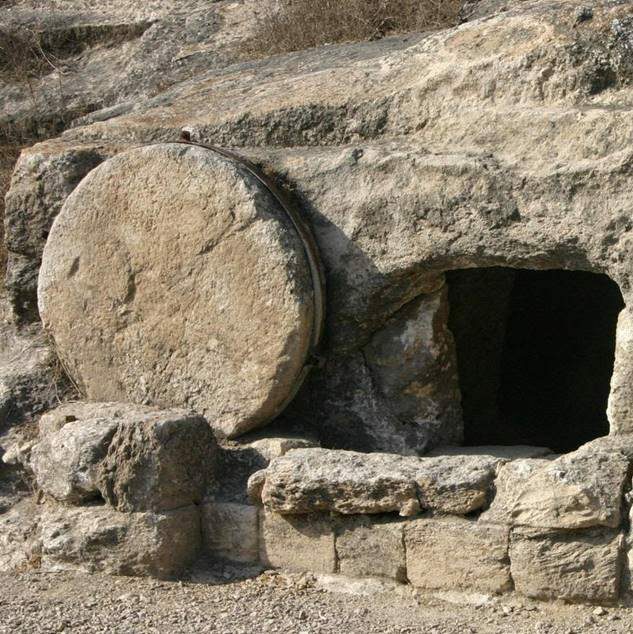 Jesus, as we surely must agree now two millennia after his death and resurrection, was on the right side of history. He has prevailed. He has said, “yes” to both holding onto the old words and to letting go of their old meanings. Where the Mosaic Law was concerned, he introduced the new meaning: Love God, and love neighbor as self. The old Law and Prophets taken together? He introduced this new meaning: “Do unto others as you would have others do unto you” — Matthew 7:12. To the important old word of adultery he introduced the important new meaning of lust. To the important old word of murder he introduced the important new meaning of anger. Herein lies our UMC challenge today, as I perceive it. No. Let me rephrase that and say the entire Christian Church today. We may choose to hold on to the baby and have it cut in half, or we may let go of it and thus keep it alive. We may part company with Jesus and hold onto the old interpretations of those words we have cast as being sacred, or we may follow Jesus into the heavenly Kingdom he is still establishing here on earth. Which means both holding on to the old words and letting go of their old meanings. “Behold, I am making all things new” — Revelation 21:5.